Over the last decades, ambulatory blood pressure monitoring (ABPM) has become a method of choice for the diagnosis and therapeutic monitoring of arterial hypertension in adult and pediatric patients. ABPM allows a more representative observation of blood pressure throughout day and night in a nonmedical environment compared to office blood pressure measurements as well as assessment of the circadian and even ultradian blood pressure variability. ABPM provides ability to detect white coat and masked hypertension, a better reproducibility of measurements and superior prediction of target organ damage. 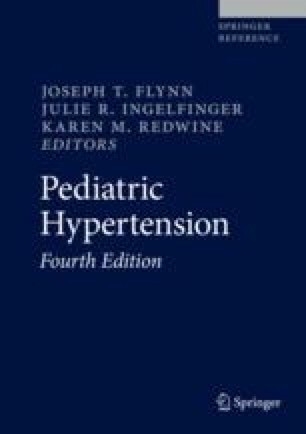 The use, interpretation, and limitations of ABPM in children and adolescents will be discussed in this chapter.